If you're dreaming of retiring on a tropical island or in some exotic overseas locale, there's no shortage of affordable places that fit the bill. Mexico, takes the top spot on International Living's list of best places to retire overseas. The city of Merida is located in close proximity to numerous beaches and mountains, it offers plenty of outdoor options. If museums are your thing, then you're also in luck. 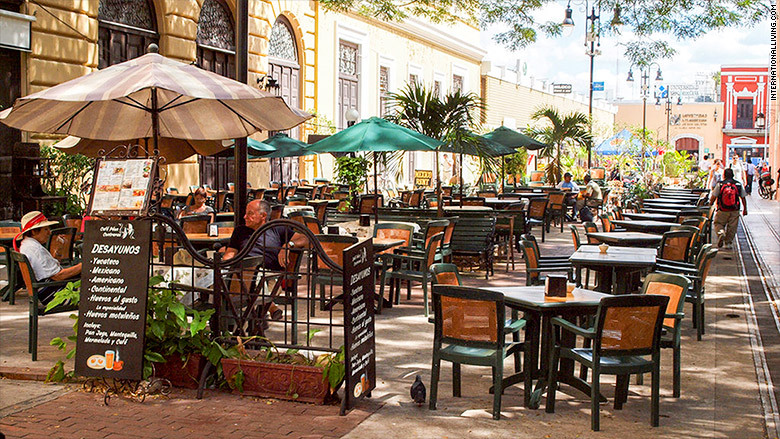 The city of Merida is known for its ancient Mayan treasures and culture. Twice a week, you can take part in a traditional Vaqueria —a Yucatan cultural and economic tradition that involves classic dishes and plenty of dancing. With good weather and a low cost of living, it's not much of a surprise that more than 3,000 American retirees call Merida home. Monthly budgets consider the following costs: rent for a one-bedroom apartment, groceries for two, utilities, cable, Internet, gas, phone services, and entertainment.